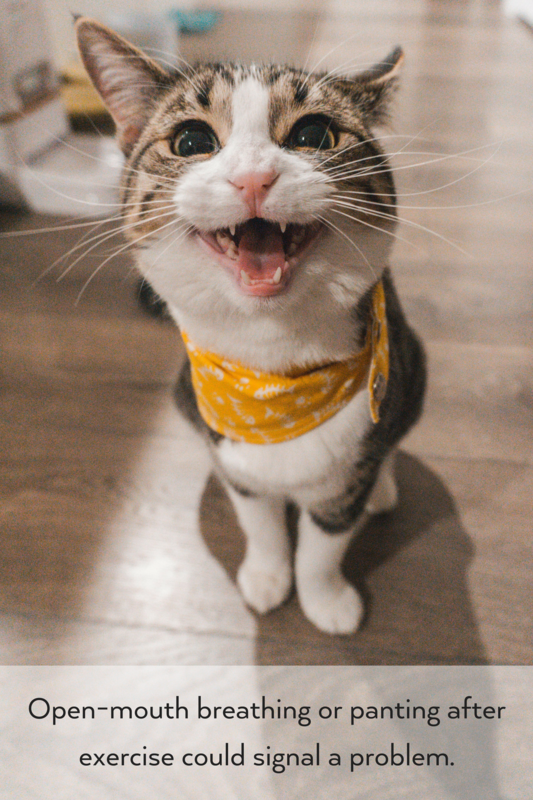 As a cat owner, you are no stranger to the occasional hairball or vomiting episode, but if your feline friend is frequently coughing, wheezing, or gagging, don’t write it off. What may be overlooked as a normal cat behavior could actually be a sign of asthma. Similar to human asthma, feline asthma refers to chronic inflammation of the lungs. Direct exposure to these irritants cause the airways to constrict or narrow, making it difficult for your cat to breathe. Muscle spasms in the bronchi and a buildup of mucus in the airways may also lead to episodes of coughing and wheezing. During these attacks, your cat will assume a low, hunched position with his neck extended in an effort to clear the airway. This is often mistaken for an attempt to expel a hairball; however, it is important to note that these episodes are not productive. 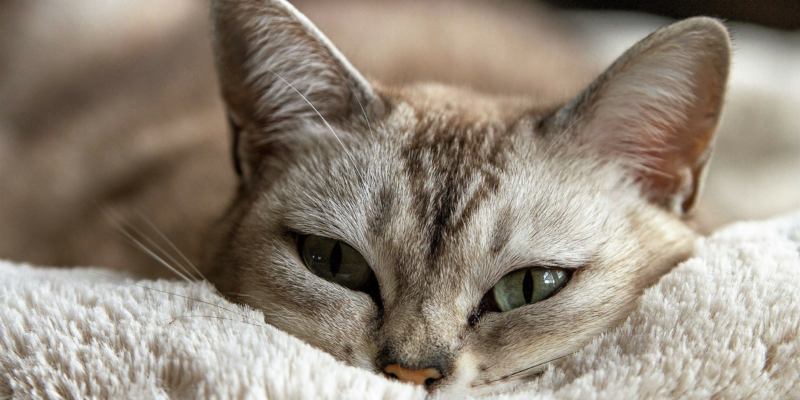 How Is Feline Asthma Diagnosed? Many of the signs of feline asthma can be caused by other illnesses, including heartworm disease and congestive heart failure. In order to rule out these conditions, your veterinarian will perform a complete physical exam, including an assessment of your pet’s heart and lungs, as well as a detailed history of your pet’s symptoms, health status, and lifestyle. Lab work: Blood tests can provide helpful information about your cat’s overall health and rule out other potential causes of chronic bronchitis, such as infectious diseases and parasites. X-rays: Diagnostic images allow your veterinarian to observe characteristic changes in your cat’s lungs that indicate the presence of asthma, such as bronchial wall thickening. Bronchoscopy and cytology: This is an anesthetized procedure that allows your veterinarian to examine the airways with a small, flexible camera and collect samples for examination under a microscope. Airway lavage: This procedure involves collecting cells and mucous by “washing” the trachea with a small amount of saline. These samples are then cultured and examined under a microscope. Corticosteroids: Inhaled steroids are used to decrease inflammation, dilate the airway, and decrease mucous production. For use in cats, inhalers are used in conjunction with an air chamber and face mask, such as the AeroKat system, to allow for more comfortable and effective administration.While this may seem like a daunting task initially, it is easy to get yourself and your cat into the habit with a little guidance and training from your veterinary team. The key is to start slow, be patient, and provide positive reinforcement. Alternatively, steroids may be given as a daily pill. Bronchodilators: Short-acting “rescue inhalers” allow for delivery of medication deep into the lungs during an asthma attack. Controlling the environment: Any factors known to aggravate breathing problems should be avoided. This may include trying different brands of cat litter or eliminating other irritants, such as air fresheners or cigarette smoke, from the home. Bottom line: If you have a coughing cat, it is important to get him evaluated by a veterinarian as soon as possible. We’re here to help—contact us or stop in anytime!